The other day I asked my friend Ed of In God's Company 2 what his wife's secret in having a priest for a son. Ed graciously shared the following with me. I do have his permission to share this with you. When Eddie was a young boy he was very prayerful and he had great love and devotion to our Blessed Mother. We could see there was something special about that, especially for a child his age. We didn't pray for Eddie to become a priest but what we did do is to say to Our Lord, " That if He was calling Eddie to become a priest someday that it was fine with us. We gave the Lord permission to do whatever He thought was best for him. Our prayer was that His Will would be forfilled in Eddie. So that is Donna's secret and mind. Eddie never told us that he had any thoughts or intension's of becoming a priest. We suggested to him once or twice through the years that the Lord might be calling him to the priesthood, but he just disregarded that. He said he had other plans for his life. He wanted to become a Chef. Then one night he said to us that he wanted to go and study for the priesthood. Wow! We were full of joy.
" Testimony of Fr. Edward A. Sousa "
"Come follow me," Jesus said, "and I will make you fishers of men" (Mt. 4:19). When I was a teenager, I could remember hearing this saying of Jesus read at Mass, but never did its importance actually affect me in my life, until I turned the age of twenty-six. I would say that I began to experience a turning point to respond generously to this call. 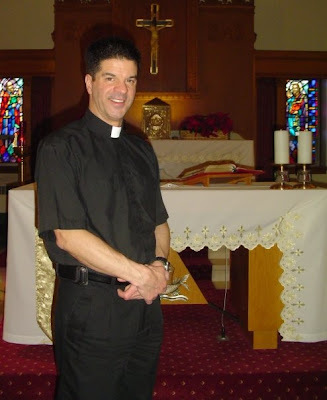 When I was a child, up to my teenage years and into my early adulthood, I had no desire whatsoever to become a priest. In fact, I remember sitting in a Career Day lecture in high school with an image in my mind of an ideal planned life for myself. I would go to college, get a good education, earn a decent amount of money, get married, have a family of my own, eventually become a grandfather and,finally,enjoy retirement in my old age. So, what happened to me between the years of my childhood into early adulthood? Well, my desire to follow my set plan in life grew stronger and I had a set goal of getting a good education in the field that interest me. I developed an interest in culinary arts and decided in my senior year that I wanted to become a professional chef. Therefore, upon graduating, I enrolled at Johnson & Wales University. Two years later I graduated with an Associate of Occupational Science degree in culinary arts and I was what you would call a "professional chef." I made decent money and was happy. All during this time I was what you would call the "average" Catholic. I went to church every Sunday, although many times half-heartedly, and was doing the best I could to be faithful to my beliefs. I was always a person with much joy, and had a wonderful family. I also dated off and on, and I had many friends. However, I felt that there was still something missing. I was searching and looking for a meaning to my life. I began to figure out that the things of the world could not provide me with this so called "purpose" and "meaning" in life. I realized that maybe it was only God that could truly provide me with what I was looking for. I slowly developed a desire to pray the Rosary. I always had a devotion to the Blessed Mother. The more I prayed, I felt my love and relationship to Jesus growing. I started to understand what many great saints throughout the Catholic Church have said for centuries. The main purpose of our love for the Blessed Mother is, "to lead us closer to her Son Jesus, for the good of our salvation." I found myself paying more attention to the Holy Mass, feeling a hunger for God's Word, and remembering the bible readings. I was going to confession more frequently. In my spare time, I went to Adoration of the Blessed Sacrament rather than going out with my friends. I began to get involved in church through the generosity of my current pastor, Father Reinaldo Cardoso, in all area of the parish life. My mother asked me, "Have you ever thought about priesthood?" The question caught me off guard. I tried to avoid the question with nervous laughs, but I began to realize things were changing in my life and it would only be a matter of time. I spent time asking myself, "Why would God be calling me?" I was not sure if God was truly calling me. It was May of 1995, during a special holy hour at my parish, that I met a young visiting priest from East Timor. He asked me, "Have you ever thought about priesthood?" I felt a moment of grace and the question hit me like a "ton of bricks." This time I did not shrug it off. It was then that I met with Father Cardoso, and told him my thoughts. My parents were not surprised and were extremely happy with my desire to follow Christ in the priesthood. 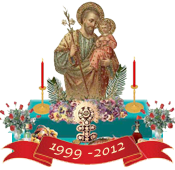 In August of 1995, I left my paying job and in September I entered the Seminary of Our Lady of Providence. I enrolled in Providence College and began the first two-year program. I can find no way to measure the tremendous experience I have had in the course of spiritual formation. In the summer of 1996, I traveled to a popular Marian shrine at Medjugorje, in Bosnia-Herzegovina. During my visit, I met a married couple, Patrick and Nancy Latta, who were originally from Canada and now living in Medjugorje. I told Nancy that I found my seminarian life very difficult and at times, I felt like giving it all up. Without hesitation, she looked at me straight in the eyes and said to me, "Edward, always remember one thing. God does not want you to do great things, but to do simple things with great love." I felt at that moment, God's infinite mercy and grace. From that day forward, to this present day, I have never again looked back in God's calling to the priesthood." It is very important to plant the seed of a priestly vocation in our boys and young men. As you read above Father Ed's mom and a young visiting priest asked him if he ever considered being a priest. Of course, they need to be called to the priesthood. But we can only imagine how many men have been called to the priesthood, but they weren't aware of it. Please pray for more vocations to the priesthood and please pose the same question to the young men you meet "have you ever considered a call to the priesthood? of the feast of Mardi Gras. who sit about this feast day table. 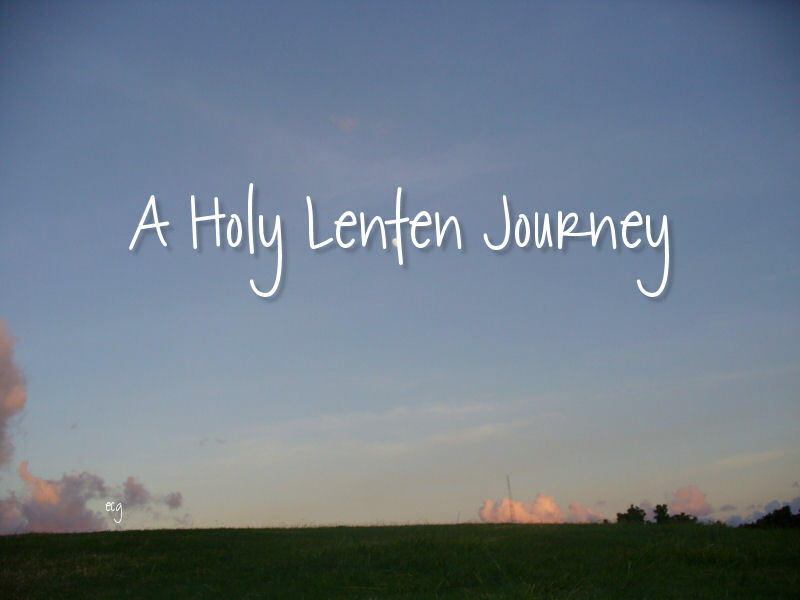 these forty days of Lent. from Ash Wednesday to Easter Sunday. in His resurrection from the dead. of the feast of the Resurrection. Shared by my friend Ann. 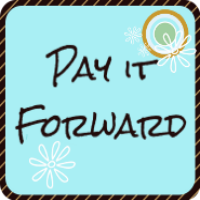 UPDATE: I thought I would share something for Holly's Pay it Forward: I haven't been too busy blogging as it is Lent. So please forgive if I share this older post. The other day before confession I had time to reflect on my sins and failings. I took this opportunity to write down a list of goals in my spiritual journal. 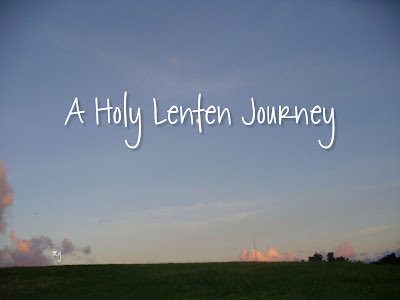 The only reason I am sharing this here on my blog is that perhaps it will encourage others to make similar Lenten goals. - I will not give opinions especially when not asked. - I will not complain about little aches and pains. - I will not criticize anyone, and that includes politicians and celebrities. - I will not make small talk just for the sake of speaking. - I will listen to the person speaking to me and give them my undivided attention. - I will try to curb leaving comments on social networks unless really necessary...(e.g. correcting erroneous Catholic teaching). - I will limit my time on social networks, especially Twitter and Facebook. - I will think (and pray) before speaking. 2. Reading books that will help me grow spiritually. The following are the books I have chosen from the bookshelf. Blessed Mother - The True Story of Fatima by Father John de Marchi, I.M.C. - In Silence with God by Benedict Baur, O.S.B. - Spiritual Doctrine of St. Augustine by Ignatius M. Barrachina, O.C.D. Although the priest I asked to be my spiritual director accepted my request, we still have not been able to meet based on conflicts of time. There I will pause at least three times during the day to pray for the intercession of St. Padre Pio, Our Blessed Mother and the Holy Spirit to help guide me spiritually. I will pay special attention to the suffering and death Jesus experienced for love of a sinner like me, especially during the Consecration. I will remember to pray for the grace to love God more. Read it here at The Media Report. Please continue to pray for Father Gordon and all falsely accused priests! (and for their accusers too...as hard as it is to do sometimes).